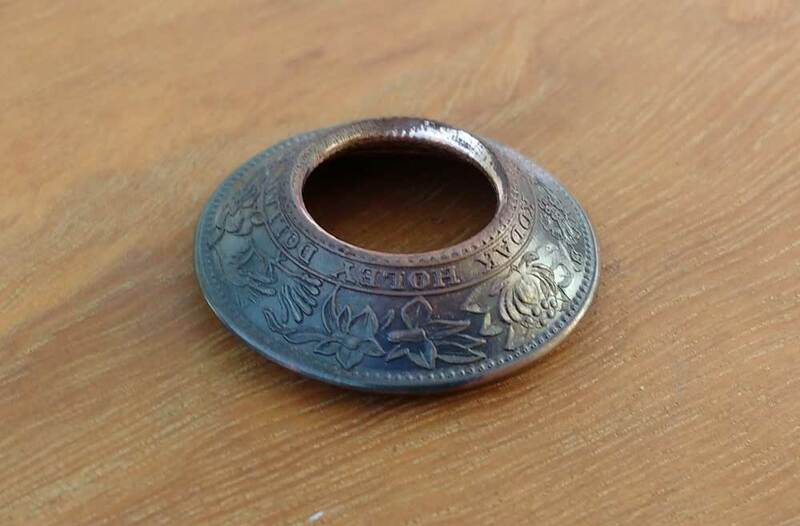 Historic Commemorative medal of the NSW Australia holey dollar coin ring. 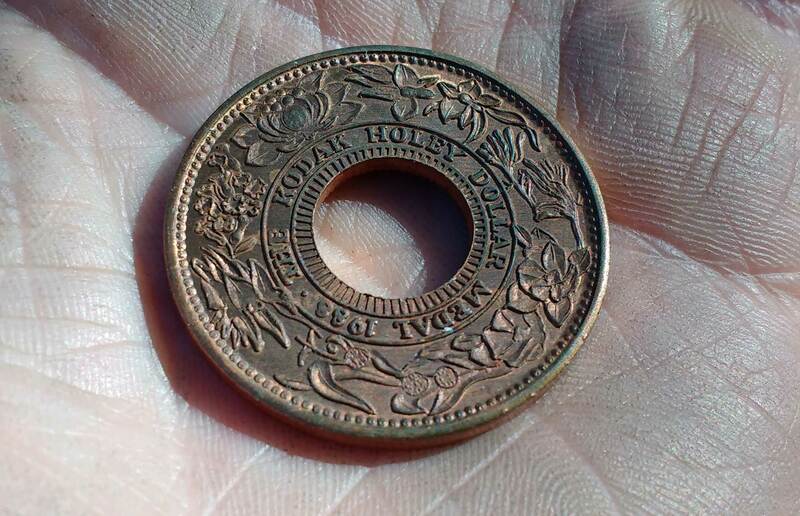 I always wanted to make a coin ring from this commemorative medal of the NSW Australia holey dollar coin issued in 1988 by Kodak Australasia. 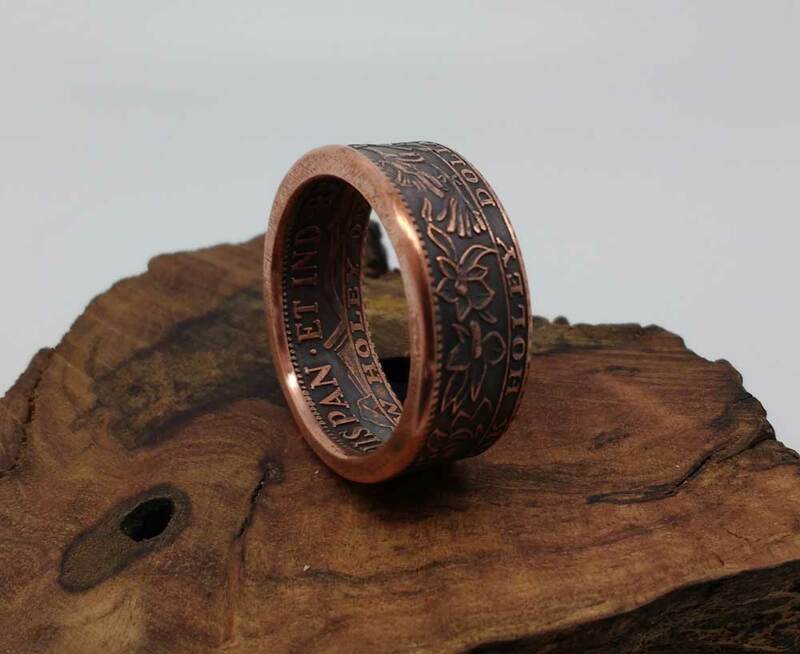 Composition is copper with such a nice and crisp detail on the inside and outside of this coin ring. 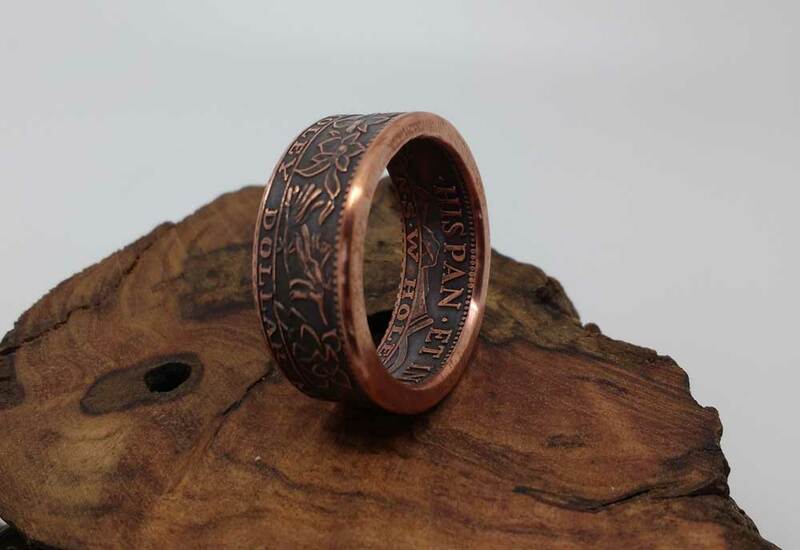 Both years 1813 and 1988 are clearly visible on my coin ring. Size of this one in the photos is Australia size Y. It is available in my online shop. 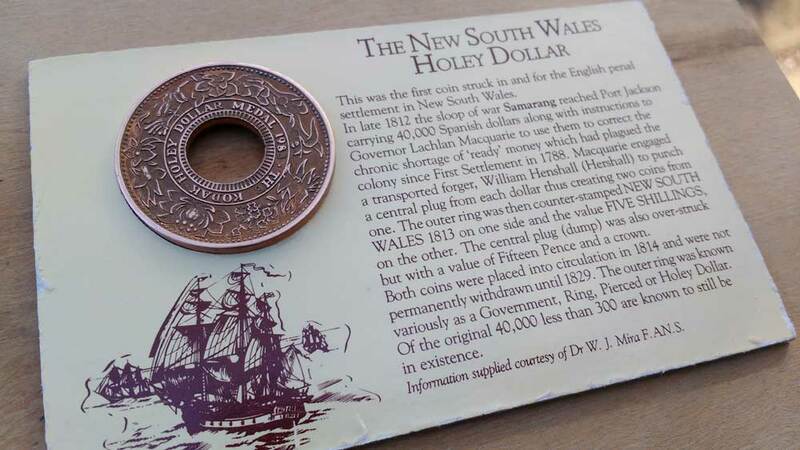 This was the first coin struck in and for the English penal settlement in New South Wales. In late 1812 the sloop of war SAMARANG reached Port Jackson carrying 40,000 Spanish dollars along with instructions to Governor Lachlan Macquarie to use them to correct the chronic shortage of ‘ready’ money which had plagued the colony since First Settlement in 1788. 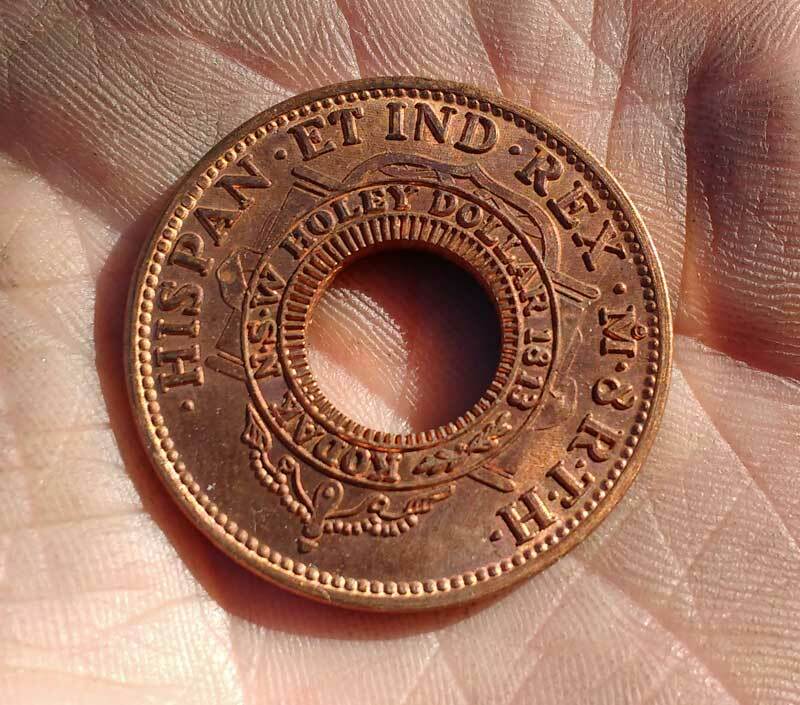 Macquarie engaged a transported forger William Henshall (Hershall) to punch a central plug from each dollar thus creating two coins from one. 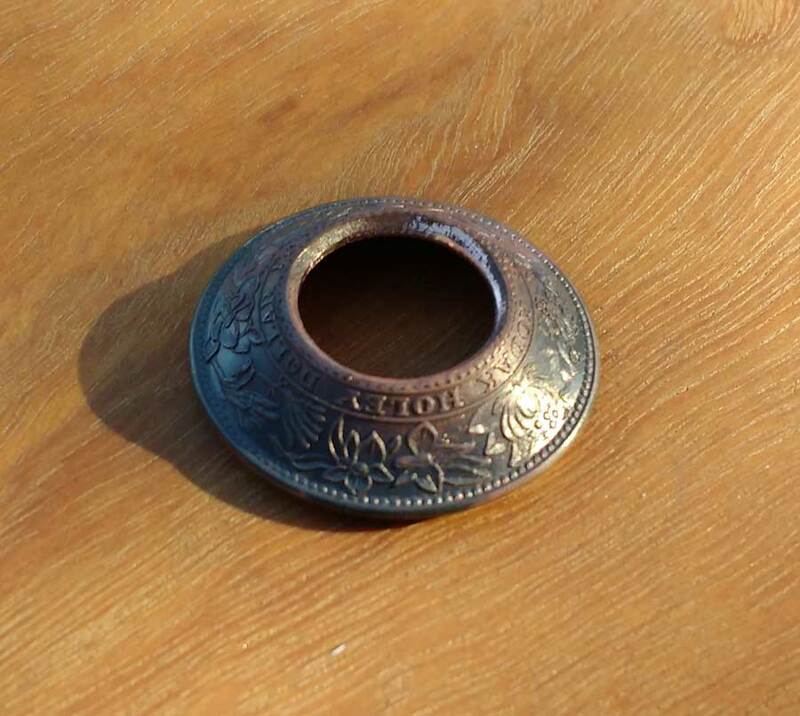 The outer ring was then counter-stamped NEW SOUTH WALES 1813 on one side and the value FIVE SHILLINGS, on the other. The central plug (dump) was also over-struck but with a value of Fifteen Pence and a crown. Both coins were placed into circulation in 1814 and were not permanently withdrawn until 1829. 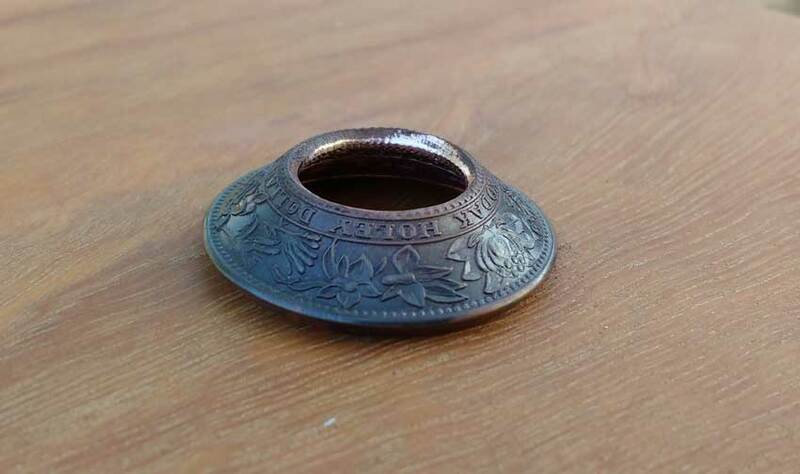 The outer ring was known variously as a Government, Ring, Pierced or Holey Dollar. Of the original 40,000 less than 300 are known to still be in existence.